As the new school year approaches, many teachers and schools are preparing their education spaces to welcome students. As a teacher, I know how much time and dedication teachers put into setting up bulletin boards and classroom decor to make each of their students feel welcome. We often use funds from our own pockets to create an atmosphere where students feel comfortable and ready to learn. We also spend time thinking about ways to welcome and engage our new students. Icebreaker activities, classroom space arrangements, and even things like creating a class set of rules as a group are all ways we try to get to know our students. Finding new ways to make your classroom a welcoming and safe place is on most teachers’ minds right now, and to make that process a little easier, we’ve come up with some great ways to integrate students’ backgrounds and home life into your classroom atmosphere. Below are also some introductory activities for you and your students to get to know each other. We’ve also thought of ways to integrate parents and guardians into this welcoming process because parental involvement in children’s education is an important part of student engagement in learning. An important part of teaching is building successful relationships with students. They feel safe in a classroom where teachers get to know them and care about them. When you know a child’s background and family story, you can understand better what challenges and supports that child might have at home. Some of the following activities weave in Indigenous history and knowledge sharing. 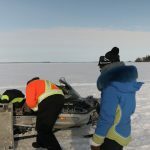 There is a strong emphasis on family and sharing of stories in First Nations, Métis and Inuit teachings, and modeling this importance in your classroom can help students of all backgrounds feel better connected to their learning environment. Start the year off by creating a photo wall of the students’ families. Ask students to bring photographs of their parents, brothers and sisters, aunts and uncles, grandparents or other people whom they consider part of their family. Each student should have a small space on a bulletin board where they can post their pictures. The wall need not be limited to pictures: students should be encouraged to post anything that symbolizes their families. For example, if the family likes going to movies on Sunday, perhaps the students could put up a ticket stub. Or, if the family is First Nations and the child is a member of a clan, he or she could post a picture of the clan animal. Finally, ask students to write a short piece describing their family and post it with the pictures or other materials. Family histories of many peoples are extremely important. In First Nations families, historically, for example, children were regularly told stories about members of their family, living and deceased. Family histories are passed on through the teachings and experiences of the Elders. If children know their family history, then they would know who they are, and where they come from. Get to know your students by having a family story sharing session. 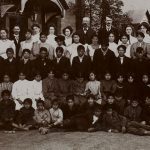 A teacher’s own family history might be a starting point for a lesson on the history of families. By telling the history of your family, you can model to the students what you would like to hear from them. This could include the number of people in your family, your cultural background, where you lived when you were growing up, what your parents and grandparents did, and any other stories important to your family history. Ask students to find out more about their own family history. They can begin by interviewing parents, grandparents or aunts and uncles. When their research is completed, students will tell the history of their own family in a classroom Family History Circle, the way you told the history of your family. An alternative to this is to instruct students to share their family histories in pairs. Then, in a circle, each student tells the history of his/her partner’s family. The students can also illustrate a portion of their family history with a painting or drawing, which can be added to the Family Wall. 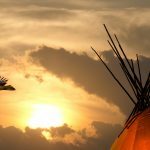 Among many First Nations, names are considered a powerful and important connection to family and are sometimes passed down through families in special naming ceremonies. Some names have survived for many generations, and there are often fascinating stories behind them. In some First Nations, newborn children are named after a recently deceased relative or member of the community because it is believed that infants inherit the qualities of the deceased person. Ask students to collect information from home about their names. In this way, parents will become involved and students will expand their knowledge of their family history. Once this research is complete, invite students to share the stories of their name with the class. Again, a teacher’s name could be the starting point for a lesson on the stories of names. The story behind your name (if there is one) could include who gave you your name and why, or who else in your family had that name, and whether the name has significance in your family. There is a circle of people around a child who are directly involved in their learning and growth: teachers and learning organizations only make a small part of that circle. It is important to acknowledge the roles that many other family members, community members, and Elders play in the lives of children and their development. An excellent way to make students feel welcome in your classroom is to make parents feel welcome. Sending home a letter about you, your classroom, and your ideas for parental involvement in students’ learning would be a great first place to start. 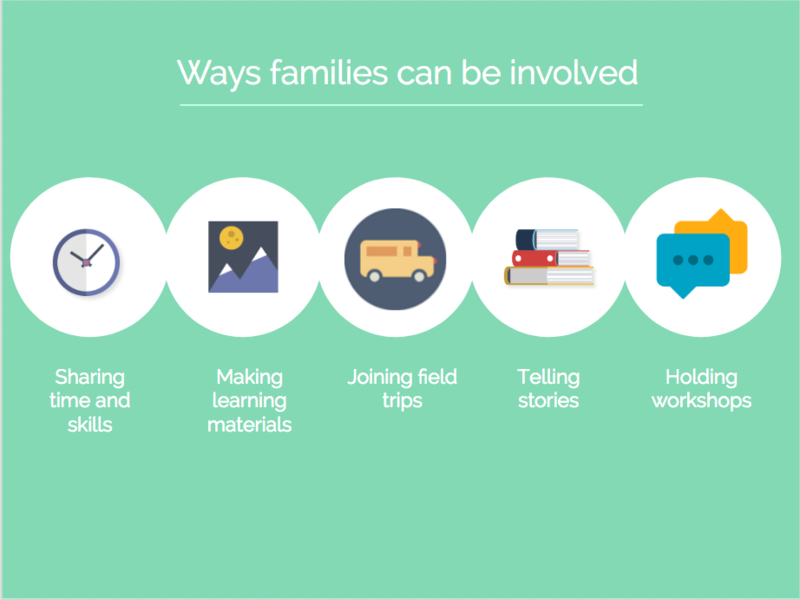 Finding opportunities to involve families in your classroom can also help students feel safe. This isn’t always an easy task, and it may take the time to build strong relationships depending on your school’s community. Below are another few ideas. Bringing their special skills to the classroom. Parents and family members can share these skills through a natural teaching style. Examples of some skills include baking, cooking, gardening, sewing, simple woodworking, drama, dance, music and sports. Making learning materials for use in the classroom, such as helping to make cultural items or helping to decorate classroom spaces with traditional objects. Holding workshops where family members and staff together design and create a cultural place for the children to reinforce and rekindle First Nations, Métis and Inuit traditions. With these tips and the advice of other teachers in your learning community, your classroom will be ready for learning and welcome come September. What other techniques do you use to welcome your students? Share them with us at achieve@learningbird.com.